Lorenzo Snow inherited a hornet’s nest of trouble when he was called to fill the shoes of prophet in 1898. 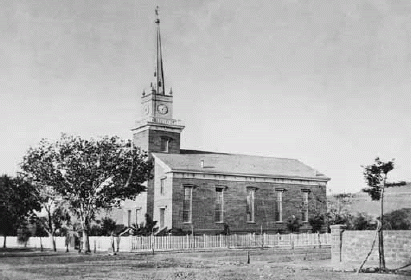 The structure inside the Church had become divided over the Manifesto of 1890 issued by Snow’s predecessor, Wilford Woodruff. Their argument while understandable, albeit still illegal, was that if God had directed them to do this then God would protect them from the evil doers outside of the covenant. the good ol’ boys had given up polygamy, thus bills for living on the lamb and defense attorney fees were mounting fast. Snow tried to deal with the problem by issuing short term bonds, but those didn’t come close to covering their financial woes. And then viola`, just like the blessed arrival of the seagulls some fifty years earlier, relief came in the form of a word from the Lord. At the St. George Tabernacle Lorenzo Snow revealed to members of the Church for the first time the strict temporal law of paying the minimum 10% of everything you own for every member of the Church (including kids). 2 1845 (31) Mary Adeline Goddard (33) 3 *Married in Nauvoo – she was Lorenzo’s cousin, married previously w/ 3 kids. Stayed behind in Nauvoo because of pregnancy, 2 sons went w/ Snow on initial trek west. 3 1845 (31) Hannah Goddard (17) 0 *Adaline’s little sister who travelled w/ Snow on trek to Utah. 8 4.4.1859 (45) Phoebe Amelia Woodruff (17) 5 Daughter of WilfordWoodruff. Was “given” to Snow by Woodruff after Phoebe divorced 1st husband. 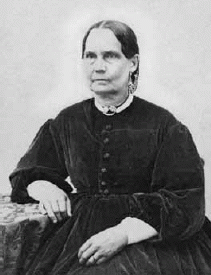 Charlotte Squires – some resources put marriage date in Oct. 1844. Mary Elizabeth Houtz – sealing date listed, no exact marriage date found. *Iowa Journal of Lorenzo Snow, pg. 262.